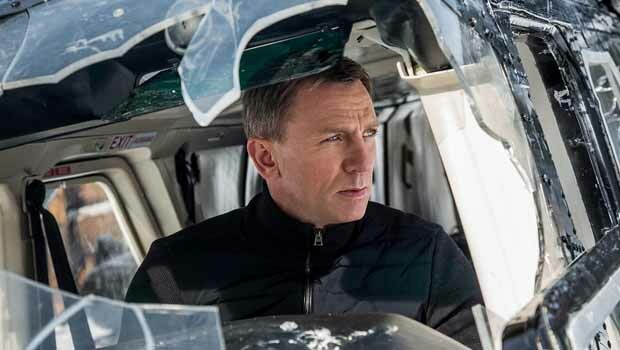 Summary: If Spectre is Craig's Bond swansong, it seems like the right time to bow out. Four films into his James Bond career and Daniel Craig might want to cut his losses. After the nostalgia-fuelled Skyfall became the highest-grossing Bond movie of all time in 2012, Craig was put on the same pedestal as when he rebooted the 007 franchise with a stylish Casino Royale debut. The anticipation for Spectre has been immense, especially with the title suggesting Bond will be facing the global crime organisation so famous from the Connery years. Yet, despite all the hype around Craig reuniting with Skyfall director Sam Mendes to practically ensure another hit, Spectre is more akin to Quantum of Solace with back-to-back action set pieces across numerous eye-catching locations failing to make up for a episodic plot that offers cold entertainment. There’s a grittiness to the Craig Bond canon that has been steadily growing with the demise of first Vesper Lynd and then M, however the desire to keep exploring the darker reaches of a character that was never much more than kiss kiss, bang bang again proves too much of a narrative stretch to hang set pieces from. Daniel Craig as Bond and Léa Seydoux as Madeleine Swann. Spectre offers a lot of solid Bond elements, though. Opening with a long-take through the annual Day of the Dead Festival in Mexico City, we see 007 donned in a skeleton mask and tux combo leads a glamorous girl through the streets lined with spooky revellers and into a hotel room where he leaves his companion to head out over rooftops. Before you know it he’s dodging a collapsing building, pursuing a target through the street and having a bust up in the back of a helicopter. It’s a kinetic start up there with the best of Bond pre-credit sequences; then the bloated Sam Smith title music begins and Spectre stalls. 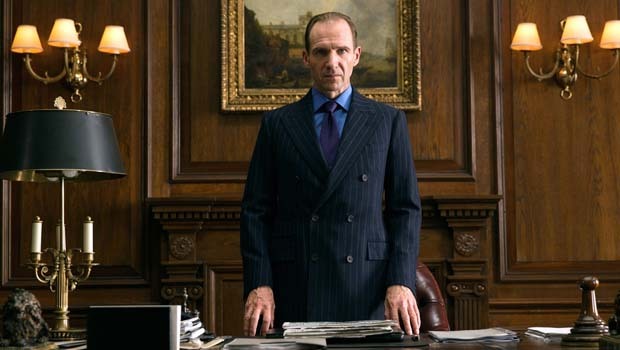 We’re in familiar territory when, back in London, M (Ralph Fiennes) tells Bond he’s grounded for his little stunt meaning he must enlist Moneypenny (Naomie Harris) and Q (Ben Whishaw) to assist his investigation into a mysterious silver ring with a black octopus on it. Going against MI6 also means going against the Joint Intelligence Service led by Max Denbigh (Andrew Scott), known as C, who wants to align nine countries to a central surveillance hub, as well as shut down the 00 section. Abroad in Italy Bond runs into the widow of the man he killed while retrieving the octopus ring, Lucia (Monica Belucci), who points him in the direction of a mysterious underground organisation seemingly led by Franz Oberhauser (Christoph Waltz) and on to Austria and Morocco to try to establish what they are plotting. Bond’s MI6 regulars M, Q and Moneypenny are all involved throughout while Craig continues to bring that mix of rugged and suave which have been so perfect for his Bond. What lets Spectre down is a criminal waste of the characters that are supposed to add the spice: the villains and Bond girls. In his handful of scenes Waltz channels the nasty of Col. Hans Landa in Inglorious Basterds to prove he was the perfect choice for Bond’s nemesis, however he’s not seen nearly enough to make the most of the quality he brings to the film. Meanwhile Dave Bautista (Drax in Guardians of the Galaxy) is given a silent henchman role with none of the menace of Goldfinger’s Oddjob. Bond girls Bellucci and, later, Léa Seydoux, get mixed treatment. The elegant Bellucci has very little to do save for a plot point involving the necessary giving in to Bond’s charms which only serve to highlight a missed opportunity. Seydoux has more time to shine, but gets lost in a choppy second half that feels increasingly haphazard when we finally get the big reveal of exactly who Bond has been hunting down. What could have been the perfect time to settle in one location and start ramping up the tension is quickly lost following another action set piece that ends in more explosions and more jet-setting. When the race-against-the-clock-to-save-the-world sequence arrives, the convoluted process Bond must go through is underwhelming. Even a night time river chase that Mendes has been quick to highlight as a challenging scene to film which he is proud of capturing so well results in possibly the worst climax of a Bond film in the Daniel Craig era. Given the reception of Skyfall and the level of expectation on another Craig/Mendes link up for Spectre there has to be some reason as to why this Bond ever doesn’t quite add up to the sum of its parts. The post-mortem will reveal a reliance on eye-catching locations over character development and lavish action over a compelling plot. 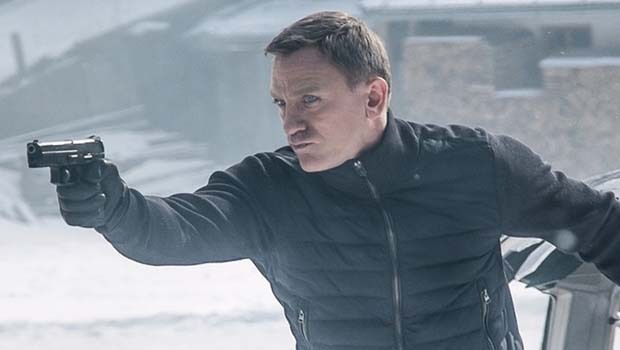 If Spectre is Craig’s Bond swansong, it seems like the right time to bow out.